Compressed advanced learn-to-sail course for those ready to step up to skippering themselves for bareboat charter or their own keelboats. 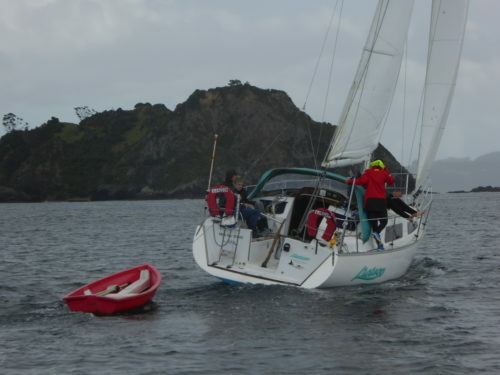 Participants should obtain Yachting New Zealand Level 3 Keelboat qualification, “Overnight Skipper” and IYT “Bareboat Skipper”. The course includes; Heavy Weather Precautions, Responsible Navigation, communications systems, engine management, mooring, docking and anchoring, minor and less minor emergencies, galley skills, boat keeping and sailing skills. LIMITED TO ONLY THREE SAILORS – register early to avoid missing out.